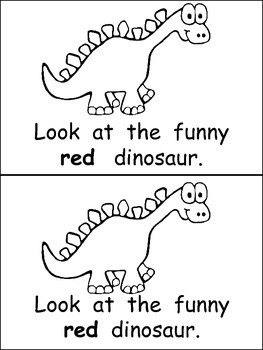 This emergent reader little book will help young students practice early reading skills, while reading about a fun subject: dinosaurs!! 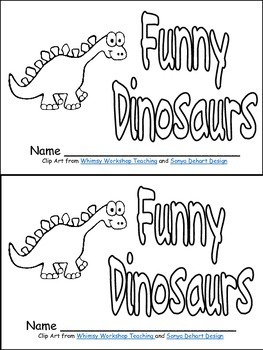 It would be great to use for browsing boxes, independent reading, guided reading groups, or Read to Self. 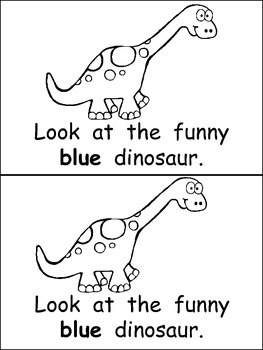 On each page, there is a different color "funny" dinosaur. The color word on each page is in bold text to help students identify the color word. There is also a chart with the color words in the appropriate color; this can be printed in color and used as a resource for students who need a little extra support. 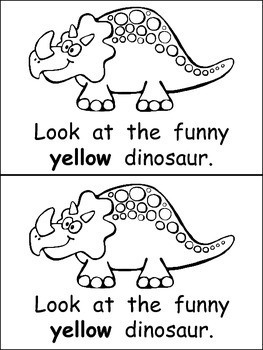 The following color words are included in this book: red, blue, yellow, green, purple, orange, black, white, brown, and pink.